Announcing launch of Studio+, the first-ever mobile-only premium content studio! Dominique Delport, this morning’s keynote, is a member of the supervisory board of French media and telecoms giant Vivendi, and was named Vivendi Content’s President in September 2015, tasked with discovering talent and investing in new forms of video and music content for different brands (including Canal+, Universal Music Group, and Dailymotion). Delport is also Global Managing Director for the Havas Media Group, where he oversees brands, clients and commercial activities. Since his appointment, he’s set up multiple agency initiatives in response to developments in technology, data, content and media. A former TV journalist, Delport won an International Interactive Emmy Award for his work on the show “CULT”. Most notably in his super-fast, highly informative keynote, he announced the launch of Studio+, the first-ever mobile only premium content studio. More on that in a minute! Binge-watching is still huge; the average binge-watcher will consume 2-5 episodes per night. 54% of users binge-watched House of Cards in less than 6 days! SVOD viewing time vs TTV: 20% in the US, but it only brings in only 4,7% of revenues (in the EU, it’s 2,3%). “Yes, economics matter. 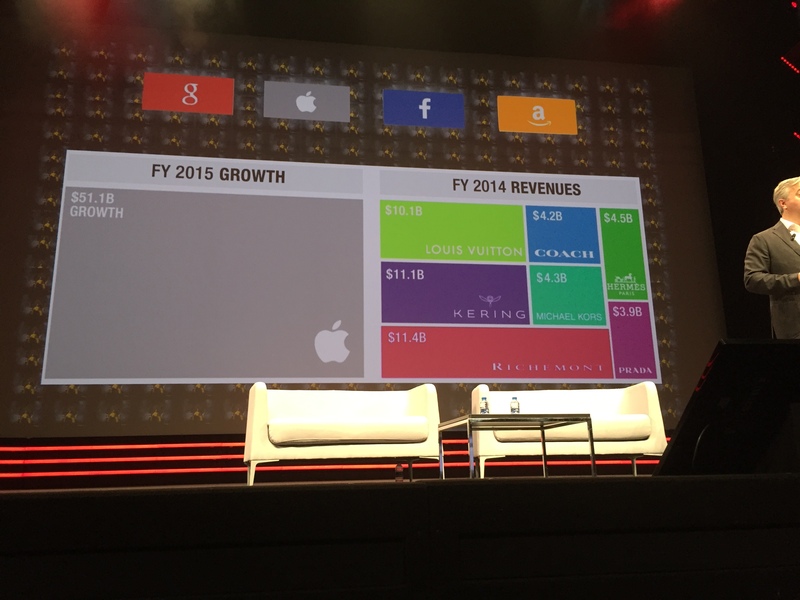 The TV business and the pay TV business are still very different from SVOD,” said Delport. And as the world moves toward this less lucrative viewing model, content remains prohibitively expensive. Sports rights remain wildly inflated: Full main US leagues can cost $10bn, and $2bn for the Euro Cup. One episode of House of Cards costs $5m; Game of Thrones is $10m each. “This is a movie in the European industry!” Delport proclaimed. Talent costs, too: The stars of The Big Bang Theory each cost $1m per episode; compare that to headliner Jennifer Aniston, who as cast favourite Rachel cost $0,6m per episode in the halcyon days of Friends. 2020 will mark a major shift: The end of analogue TV. “Every digital player will become a broadcaster,” said Delport, calling distribution “queen” (to content’s “king,” we gather). “Every content is a file, no degradation. And of course, people will start making playlists!” He pointed to Spotify and insinuated that it could easily go into TV tomorrow, a path perhaps presaged by the aggressive efforts of what he calls GAFA (Google, Apple, Facebook and Apazon) to own content distribution channels. And while the idea seems abstract today, messaging apps can be powerful vehicles for delivering content. China’s use of WeChat has become so intense that it surpasses all other social network use and has even “replaced” email. The launch of Under the Dome generated 200m views in three days … and 41% of that traffic came from WeChat! All of this points to a problem that is largely one of cultural dominance. 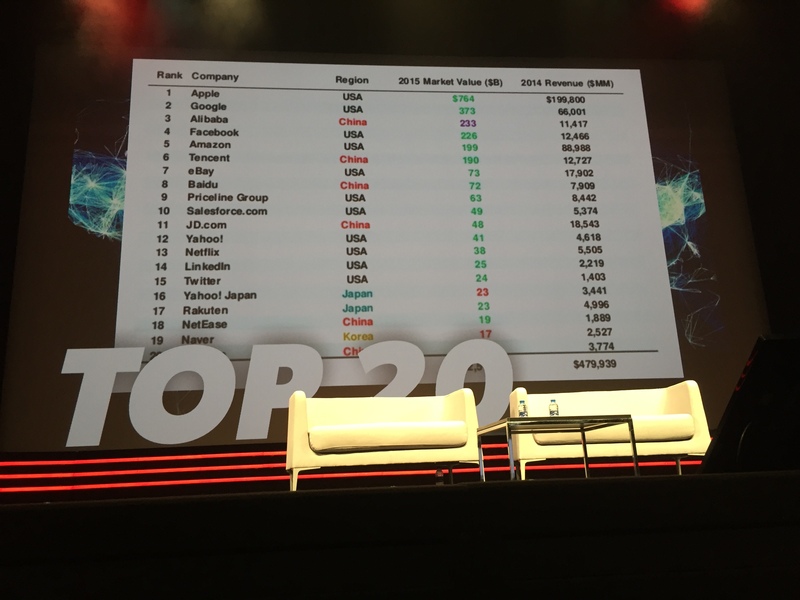 Delport highlighted a slide of the top 20 internet companies in the world: 11 are American and 9 are Asian. The next and final piece of this puzzle—which is all still leading to Studio+—is mobile. It rules the world. “I can live without a TV, I can’t live without my mobile. Mobile is already the first screen,” said Delport. Drumroll, please! Introducing Studio+: A mobile first, mobile only service for short, premium content. It’ll kick off in September in six languages: Spanish, Italian, Portuguese, French, English and Russian in a pilot of 20 countries, with about 600m consumers. Expect to find one series launch per week in a 10×10 format. To fuel that development, 750 projects were screened in just nine months. And in partnership with Snapchat, the team went to Monaco to shoot the first-ever premium series in vertical video and with immersive audio technology: Deep Diving. “We invested $1m per series, the level of investment we think is needed to get premium content for a mobile on-the-go experience,” said Delport, and resources for this powerful vehicle are staying “in the family,” to to speak: Dailymotion will be used for the trailer and promotional campaigns, and Universal Music Group will produce the soundracks. 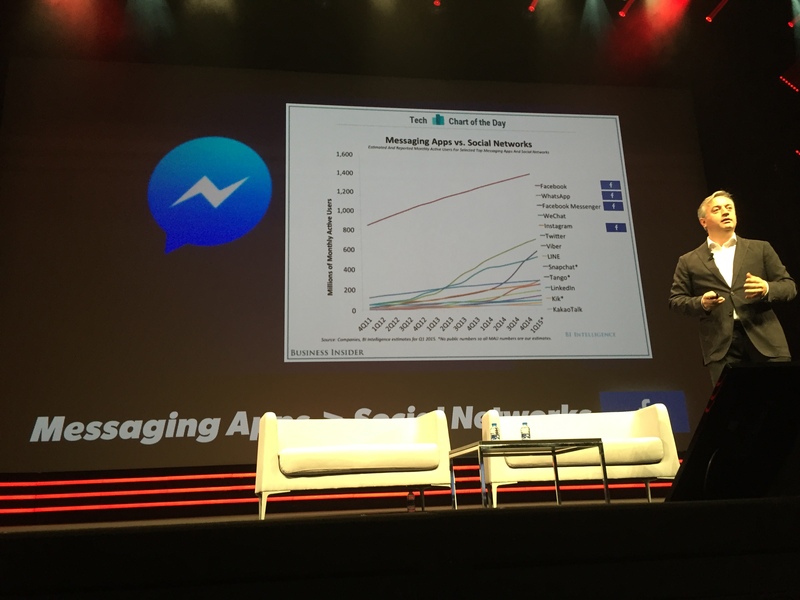 The service was designed with telecom partners, who, per Delport, needs the millennial audience to continue growing their subscription bases. And while no deal has currently been inked with the likes of Verizon and AOL, Delport said Vivendi is “interested in discussing it, and it’s our objective to strike a deal before end of the year in the US,” which he called a “competitive market.” To sweeten the pie, the deal, of course, would be exclusive. “It’s a differentiation product,” he said. “We want to be sure that Europe and the Latin culture develops its own (entertainment) culture,” Delport concluded. “This isn’t just about entertainment; it’s about culture, it’s about education.” And he reiterated the importance of eventually being in markets that are developing, and not predominantly European or Latin.